Democracy: The substitution of election by the incompetent many for appointment by the corrupt few. ✔ Facebook 3D Photo is Ready! No thanks, I don't wanna support you. Good news! 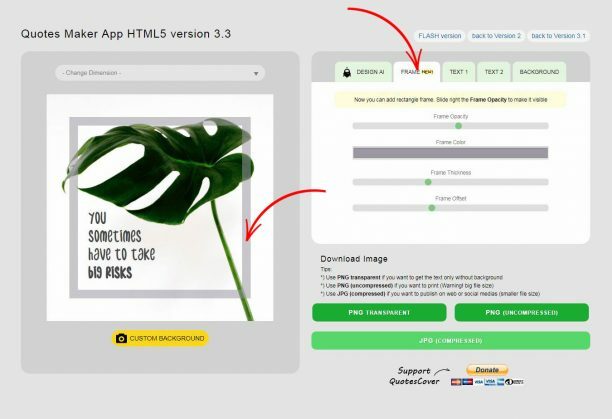 Now our quote maker app support FACEBOOK 3D PHOTO! 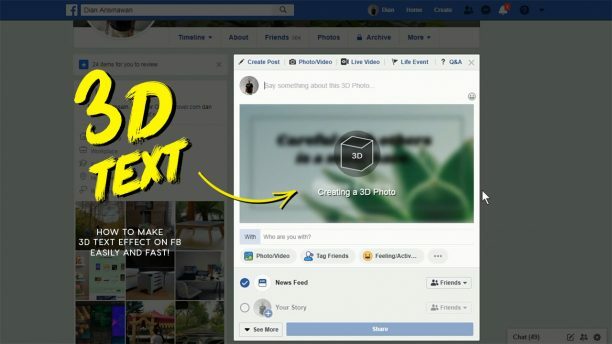 This means you can create a cool looking effect on Facebook that makes your quote post looks 3d. In other word, It will have a depth and it's definitely eye catching! How to design banner for social media story using just your smartphone browser. 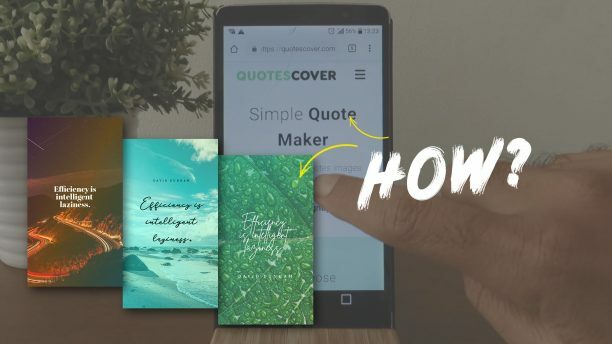 This is our first tutorial covering how to use Quotescover application using your smartphone. We are going to create three image banner for Instagram and Facebook story. 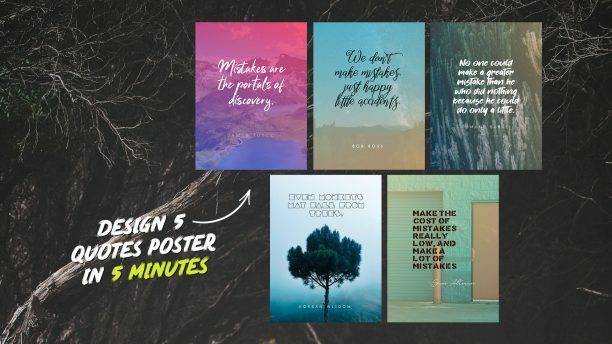 This web application will help you to create a beautiful typography artwork easily and fast. The secret is: it use an intelligent graphic design program to decide the look and feel based on your input. As the result, each time you click generate button, you will always get a nice looking quotes artwork. Of course you can always tweak/wdit it later to make it perfect. We call this technique: Generate-then-tweak approach. Version 3.3 added important features: frame, new color algo, and some bug fixes. New Features added: FRAME! Now you can add rectangular frame to emphasize your quotes. New color combination algo. Text and frame color affected. Many bug fixes and optimization. Cleverer Design Intelligent (Better background generation, and font combination). Adaptable font color. The text color automatically changed based on the background for better read clarity. Now you can see the font and photo used. Minor UI change. we clean up unnecessary lines. Now it looks simpler and cleaner.